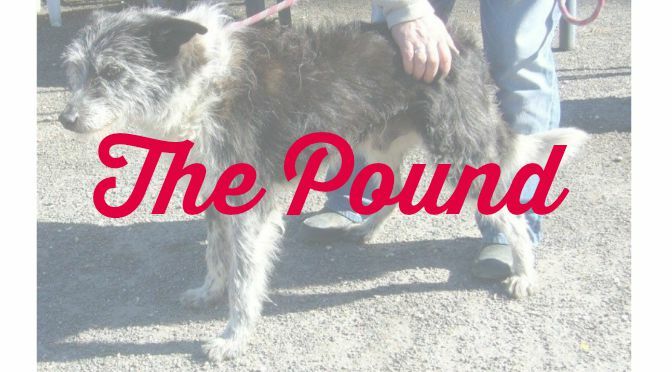 “The Pound” has such negative connotations that it can be hard to explain that the people who work for the pound are actually charged with ensuring that stray animals are brought to a place of safety and cared for. In France, the pound is known as la fourrière. In Charente, the Syndicat Mixte de la Fourrière is a committee of elected officials charged with ensuring the security, health and safety of stray animals. They award contracts to services who can offer to catch, collect and keep stray cats and dogs, as well as attempting to find owners. Currently, there are two agencies responsible for strays: the pound at Champagnoux and the pound on site at the Refuge de l’Angoumois. The kennels at Champagnoux are responsible for the southern sector of the department. The fourrière de l’Angoumois is responsible for 242 communes in the North and East of the department. The pounds are legally obliged to keep all animals for at least eight days. There are two reasons behind this. The first reason is to attempt to locate owners; the second is to ensure a quarantine period for infectious diseases. Fourrières in France can only release dogs and cats to another association, not to individuals. For this reason, any dog or cat not rehomed at the end of their period at the pound may pass over to an association. For the most part, dogs and cats at the fourrière de l’Angoumois pass over to the refuge. The fourrière can be called on twenty-four hours a day to catch animals or collect animals. The only agencies who can request the fourrière do this in Charente are the town halls and the emergency services. Some vets may agree to take an animal and the fourrière have been known to pick up strays that have arrived in this way. For further information on what to do if you have lost or found an animal, you can find further information on the site. More dogs than cats are found straying by the fourrière de l’Angoumois. In 2014, 729 dogs were picked up by the fourrière de l’Angoumois. 52% of these were returned to their home. In theory, 100% of animals should be returned to owners, since it is a legal obligation to identify your animal with a microchip. Often, dogs are identified but the owner’s details are not up to date on ICAD, the national database of dog and cat owners. Sometimes, owners deny knowledge of their dog. Occasionally, they refuse to pay fines and fees. Of the 331 dogs in 2014 that were not claimed, 318 passed over to the refuge de l’Angoumois. The remaining dogs were rehomed by associations specialising in pedigree dogs. From time to time, the fourrière is required by law to assess and, if necessary, arrange for the euthanasia of dogs who have bitten, clawed or attacked people or other animals. Thankfully, the number of dogs assessed by the specialist vet who then go on to be judged a danger is very small. The other function of the fourrière is a very sad one. Certain individuals would prefer to abandon their animal at the end of its life rather than to care for it appropriately. Thus, very occasionally, dogs who are too sick are also given care and support in their final hours. Dogs who are not identified are also unlikely to have been vaccinated. Thus it is a sad fact of fourrière life that once diseases like parvovirus are introduced, it can spread quickly. This highly contagious disease is often fatal. There are no drugs that can kill parvovirus. Vaccination is highly effective. In unvaccinated dogs, the mortality rate can be as high as 90%. Puppies, adolescent dogs and old dogs who have never been vaccinated are unfortunately exposed at the pound to a number of diseases, despite all the preventative measures in place. That said, the 48% of dogs who pass over to the refuge de l’Angoumois are then in a great place to find themselves a home. For the cats, it is a different story, and a sad story at that. Only 3% of cats brought into the pound go on to find their owners. The overwhelming majority of cats are not identified. In 2014, 683 cats came into the fourrière de l’Angoumois. One in three cats to come in to the pound are feral and in 2014, no sterilise/release programme existed in Charente. Feral cats with no chance of being rehomed cannot pass into the refuge and sadly, the majority ended up being euthanised. Since June 2015, the fourrière is working with 30 Millions d’Amis to sterilise, identify and release feral cats. Town halls simply have to ring the fourrière to coordinate this programme. It is free to communes in Charente. Unfortunately, trap-neuter-release programmes have yet to prove their efficiency and the best method of ensuring the cat population doesn’t grow unnecessarily is in neutering your animal. In 2014, 294 cats were passed on to associations for rehoming. These cats are social, friendly and used to people: they have belonged to someone. It is very sad that so many go unclaimed with owners who have not identified their cat having no way of finding them unless they come to the refuge. Many people just assume that their cat has died or been killed. Where possible, even if cats have tested positive for FIV, the fourrière tries hard to find an association who will take them. The refuge accepted 283 cats that came in via the fourrière. 11 found homes via other associations. A small number of cats each month are euthanised for medical reasons. The summer months brings a huge increase in the number of cats and kittens who arrive. In November, fifteen cats came in to the fourrière. In July, the number was almost ten times that. The fourrière, then, is far from being a place of sadness or fear. It is the agency that reunites lost dogs and cats with happy owners; it is also the front line of care and health. This is not true of all departments in France. A pound is a legal obligation according to French law. A refuge is not. Having the fourrière on site at Mornac means that the refuge is able to anticipate numbers and needs, make pairs of dogs that can be kept together and take the baton much more efficiently regarding medical treatments. Although it is true that many animals who arrive at the fourrière are stressed and anxious, many have been on the run for some time. Indeed, many dogs and cats that arrive may only have been caught because they were hungry enough to put them in contact with a caring human being. We hope to keep the fourrière contract at Mornac for the foreseeable future.